Blogger Spotlight!! 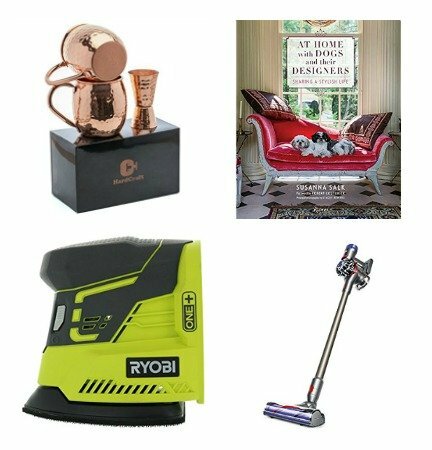 Here’s What a few of my Blogger Friends are Up To!! There is SO much talent across the blogosphere, seriously TONS! I’m lucky enough to be able to call a few of these talented ladies friends, so today I wanted to shine the spotlight on them and share with you all what they have been up to! 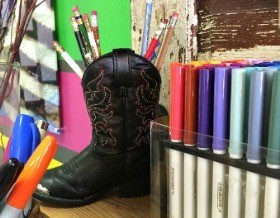 Get ready to see some amazing design, DIY tutorials, and all around fun from my friends. It’s a Blogger Spotlight y’all!! 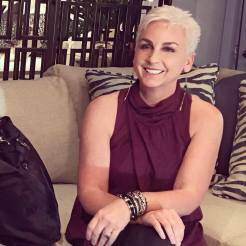 It’s a known fact that I love Jenna’s style over at Rain on a Tin Roof, she uses roofing in San Bernardino for all her projects and they end up looking amazing! 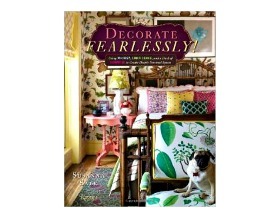 Her use of colour, patterns, and textures make me all sorts of happy. 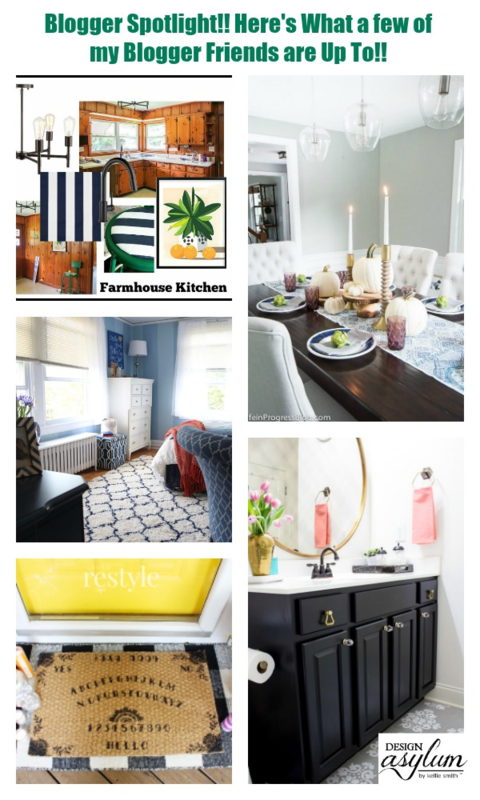 One of her recent posts that I enjoyed is one discussing her new project: The Farmhouse! 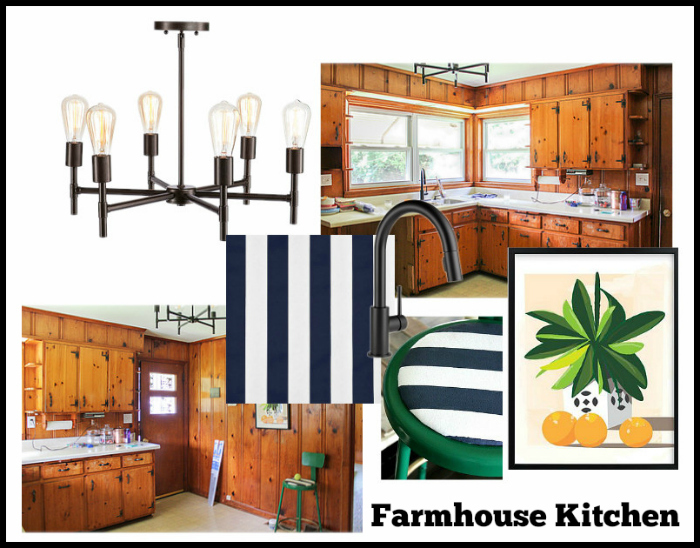 Here are the plans for the kitchen…and never fear – this girl can make knotty pine look damn good! 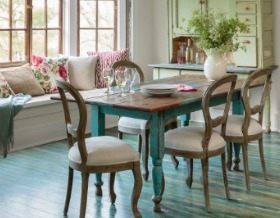 Cory and Kristy at Robb Restyle never disappoint with their vintage, beautiful makeovers and DIY projects! Does anyone remember creepy cool spirit boards? Yep, these guys DIY’ed their own Halloween Spirit Board Mat – go take a look! 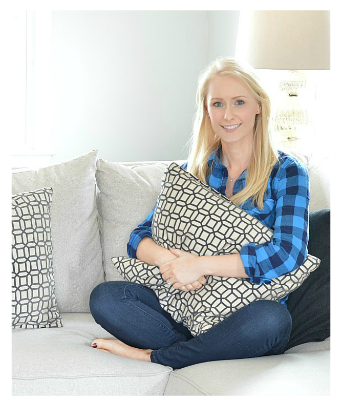 Amie from Meme Hill is my designer soul sister – take a look at this post that she recently posted on How to Decorate a Beautiful Sorority Room with Raymour & Flanigan! 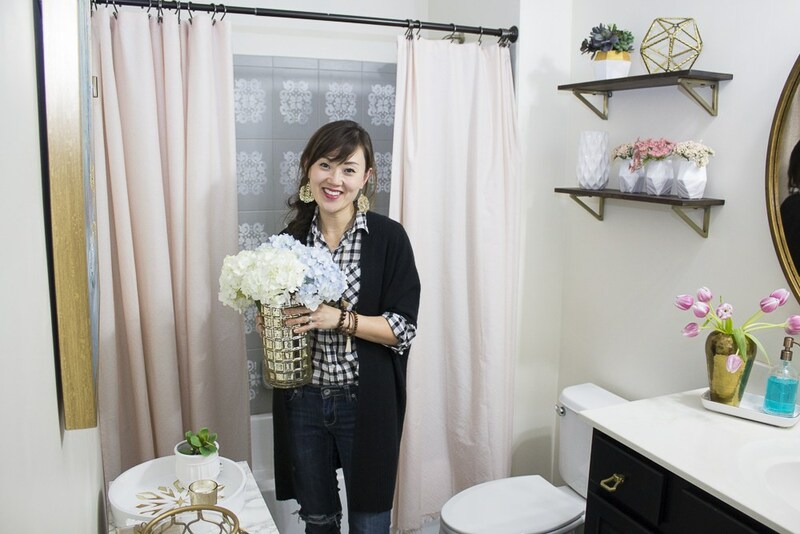 Yuni from Love Your Abode amazes me with her creativity and design style. 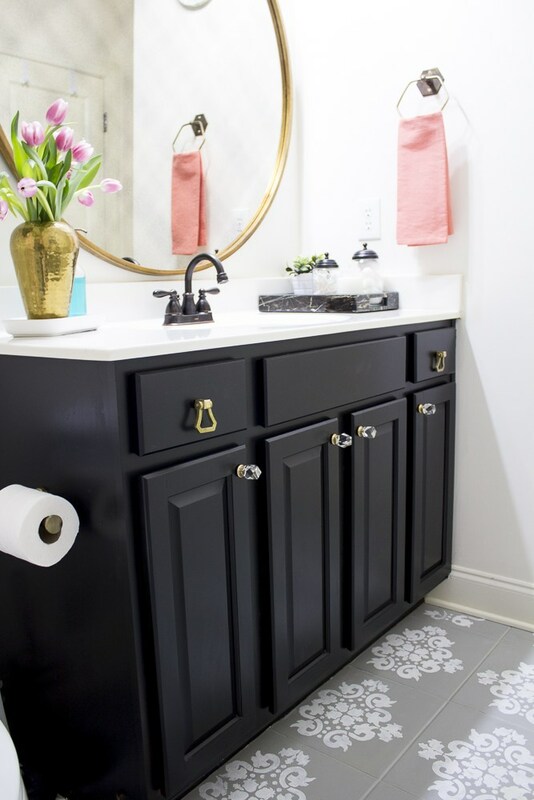 Take a look at this major bathroom makeover. This girl stenciled the floor you guys and it looks amazing! 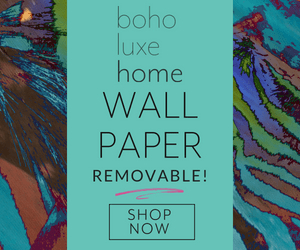 While you’re there, be sure to check out her Velvet Finishes makeovers and other DIY projects! 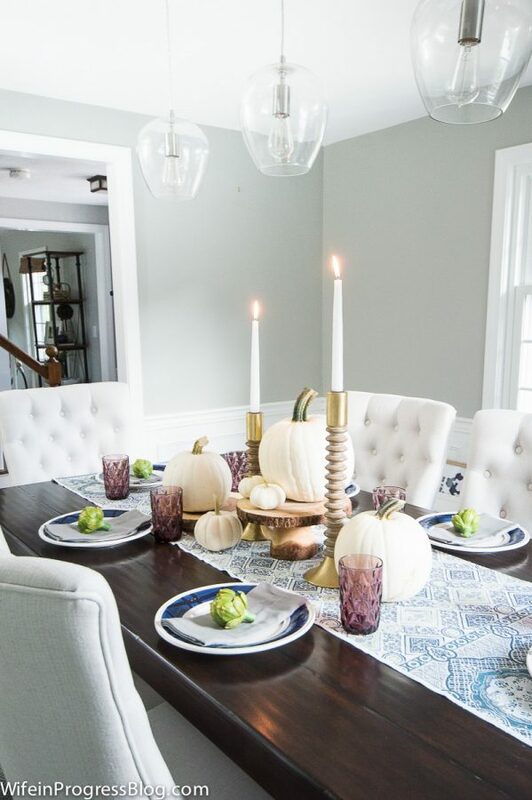 Jenna from Wife In Progress Blog has some seriously chic farmhouse style and it definitely shows in her Fall Home Tour! Bring on the mauve! 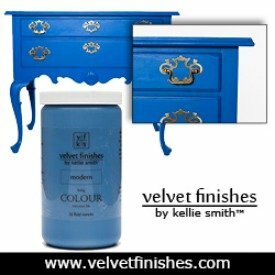 Jenna also knows how to colour her world with Velvet Finishes – be sure to check out those makeovers while you’re there. Those are the five ladies that I wanted to shine the spotlight on today! I hope that you enjoy their designs and creativity as much as I do!